1.2.2. What is a Neutrino Particle? Before we actually reach a list of reactions, here are some most common examples which neutrinos participate in. 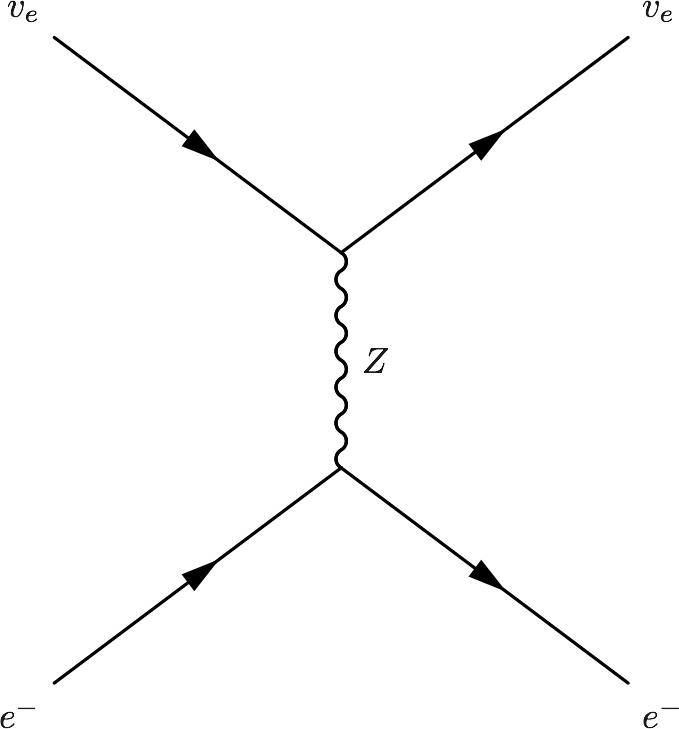 Electron capture and positron capture, \(e^- + p\to n+\nu\) and \(e^+ + n \to p + \bar \nu\). Inverse beta decays, \(\nu+ n \to p+e^-\) and \(\bar\nu + p \to n + e^+\). Inverses of beta decays, \(\bar\nu + e^- + p \to n\) and \(n+e^++\nu \to n\). 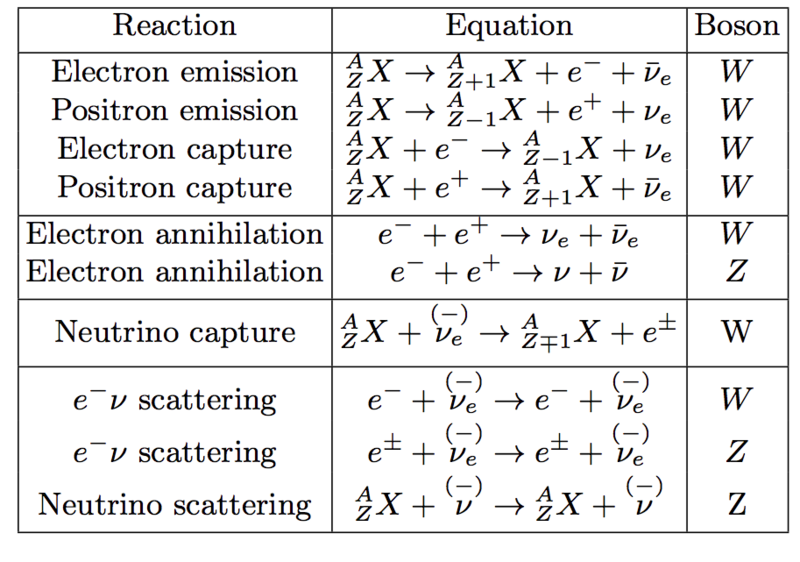 As for a list of possible reactions, here we have this table. Fig. 1.2 Neutrino related nuclear or leptonic reactions. As Wigner said, a physical particle is an irreducible representation of the Poincaré group. A characteristic of Poincaré group is that mass comes in. A neutrino particle is better recognized as its mass eigenstate. In QFT, there are 3 different forms of neutrino mass term, left-handed Majorana, right-handed Majorana and Dirac mass terms. A state is called right-handed if helicity is positive, i.e., spin has the same direction as momentum. Fig. 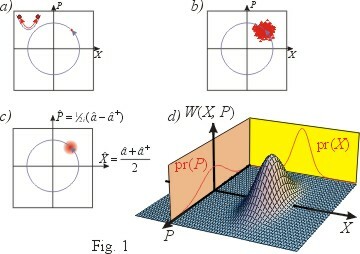 1.3 A ensemble of classical harmonic oscillators can be described using such phase-space probability distribution. 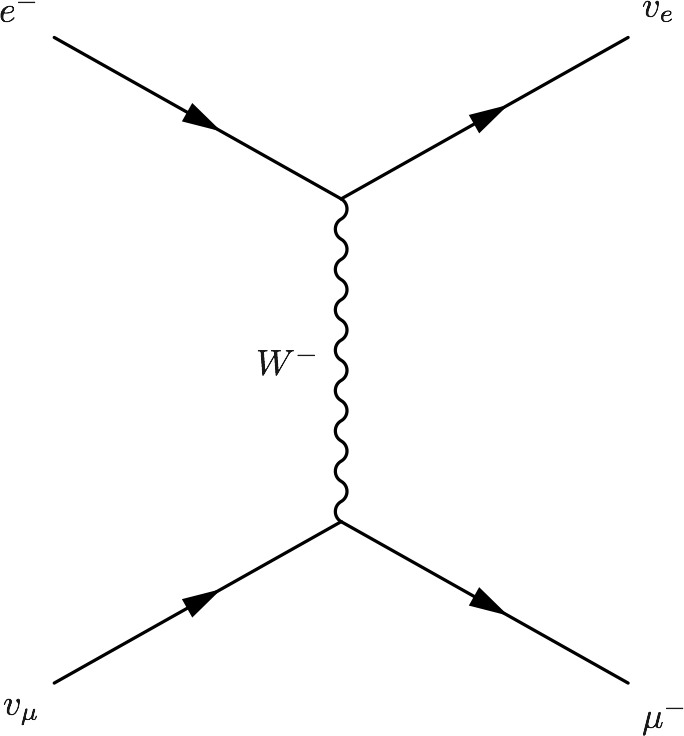 Wigner function is an analogue of the classical phase-space probability distribution function though it is not really probability. 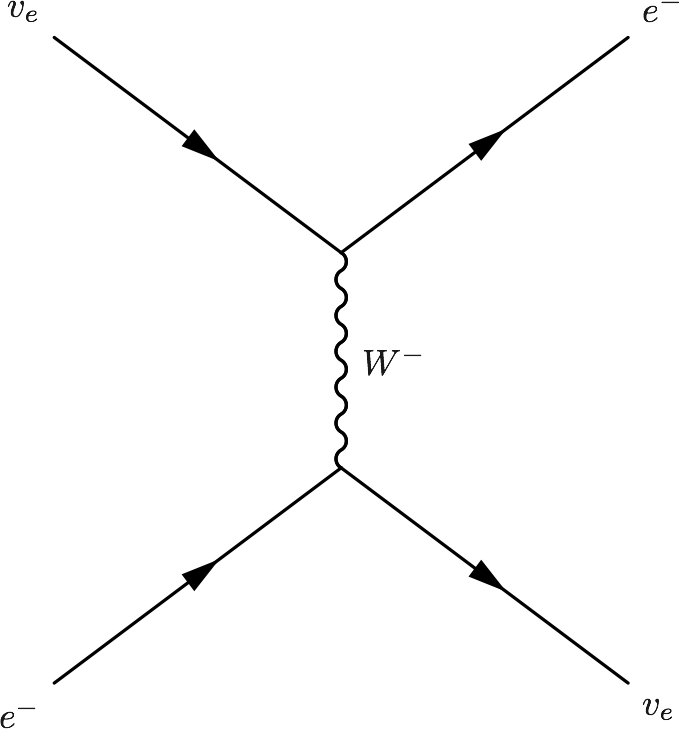 The mean of Wigner function lies in the two quadratures, i.e., space distribution and momentum distribution. How do one describe a system of neutrinos using Wigner function? The effect of statistics? where \(\xi=\mu/T\) is the degeneracy parameter. Meaning of each term in Liouville equation. Pantaleone (1992), Friedland & Lunardini (2003).